With Posh Spice as a wife David Beckham knows a thing or two diva antics, but it is unlikely anything prepared him for watching a basketball game with Justin Bieber. 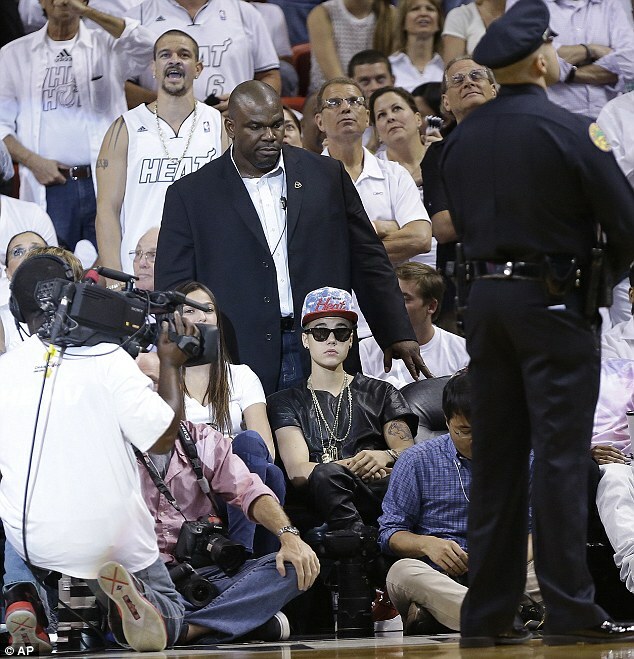 The world’s most famous soccer caught the Miami Heat versus Indiana Pacers with the world’s most famous teen pop star on Monday night. Both giants in their field, the pair enjoyed the game in Miami, Florida, from courtside seats – but in very different ways. 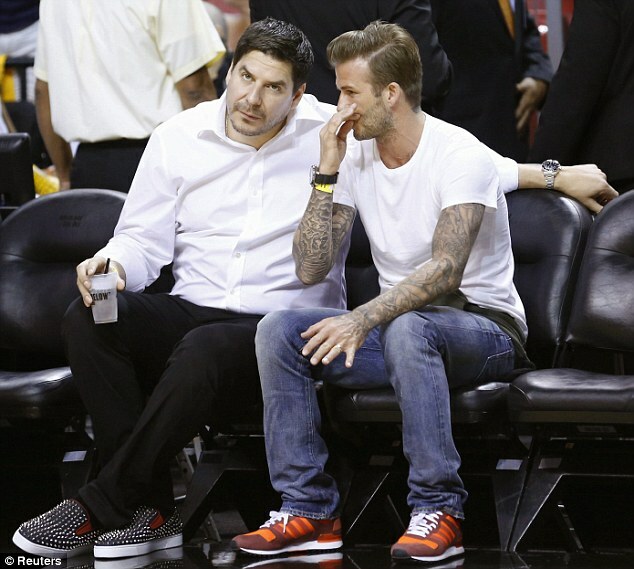 While Beckham sat and chatted with those around him including Bolivian billionaire Marcelo Claure – and possible co-owner of a Miami Major League Soccer team – Justin just surrounded himself in his entourage and security team. Despite the significant net worth of the row near the English soccer star being higher, they sat without a security or police detail. The Boyfriend singer meanwhile did not only utilise a police officer but also his own man mountain of a guard who stood directly behind the 19-year-old. So big was the guard that he totally eclipsed the view of those around him. Not that Justin noticed. The singer sat throughout the game not talking to his large group of friends he had bought along with him which included a young bemused Selena Gomez lookalike, who giggled her way the game, and his now infamous best friend Lil Twist. 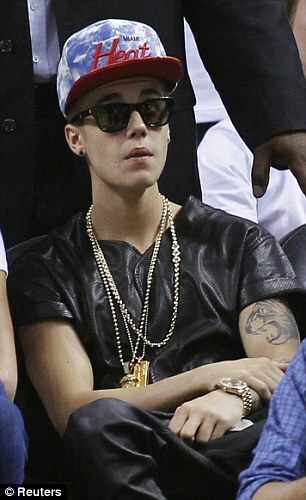 Just in case the entourage, or the security was not enough, Justin made sure to pull the classic over the top Hollywood move – refusing to remove his sunglasses throughout the night game. Obviously taking a leaf out of Kanye West’s style book, the Beauty And The Beat singer wore an all leather ensemble. The 19-year-old donned baggy leather trousers with a baseball shirt inspired leather top, which he accessorised with three solid gold necklaces and gold watch. 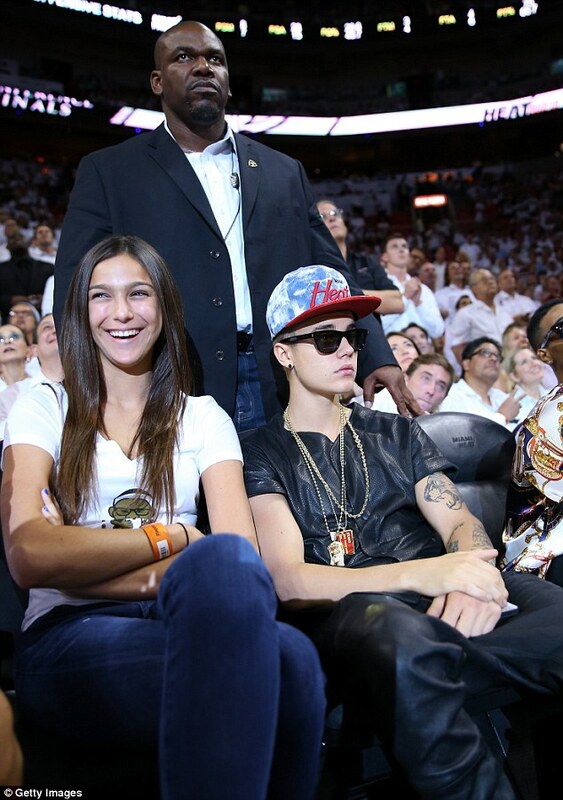 Showing his support for the local team, the singer threw on a Miami Heat tie dye cap. David went for a far more casual look, wearing a pair of slim fit blue jeans with a crisp white shirt and red trainers. As always he wore his hair in a suave slicked quiff. 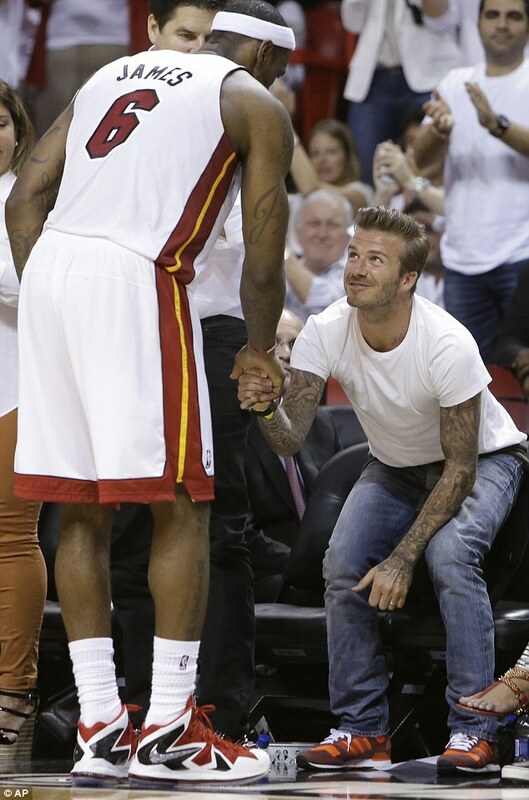 The soccer player was certainly making friends from his courtside seat, as at halftime Heat star LeBron James made sure to make a special trip over to shake David’s hand. The 38-year-old has spending a bit of time in Miami recently, as he is currently considering investing in a new Major League Soccer team in the area as Florida does not currently have a team. The game was a welcome break for Justin too who has come under intense scrutiny after complaints from his gated exclusive Calabasas community that he had been driving recklessly and having out of control parties. The singer took to Twitter on Sunday to say he is going to take a bit of time off to relax. ‘Enjoying the much needed time off. just needed to come on here and say i appreciate all of u. thanks. love u. (sic)’ the star wrote.